It is important to stop every now and then to take note of progress because it inspires us to keep going. This is especially so when the journey feels pointless. I never used to record my workouts because I didn’t see the point of it, but ever since I started using activity trackers, I have amassed quite a significant amount of data that has become quite handy. Without it, I wouldn’t have been able to track my progress so perhaps that is another reason why recording your workout stats on an activity tracker can be useful. Last Sunday was my second run back on the road since DH, a.k.a. #fatmanrunning, had his foot injury. 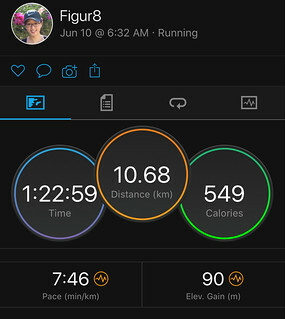 We ran an “easy 10km” and for once my Garmin Fenix didn’t tell me I needed to rest for the next three days. After every workout, the Garmin Fenix will tell you how many hours you need to rest to recover from the workout you just did. I usually get some ridiculous recovery period even after 30 minutes of running. Surprised by this, I decided to check my past running stats to check my fitness progress. I found a comparable run that I did back in February – same route and similar speed/run time. February’s run stats are on the left and last Sunday’s are on the right. 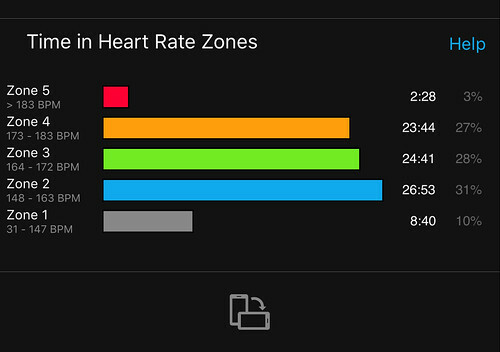 My heart rate profile was lower – I spent 15 minutes more time in Zones 1 to 3 and reduced my time in Zone 4 significantly. This was in spite of running up the final slope at the end which I walked during the February run. This is the same slope that made me want to throw up when I first tried to run its distance. I have made progress in my fitness journey – woohoo! Maybe I really do have fitness genes after all. I may not be able to run a sub 60 minute 10km – yet, but at least I know I haven’t been training in vain. By the way, I said “running fitness” because I don’t know if this translates to my other cardiovascular workouts, like spinning or boxing. Since the routine in those classes often vary, it is harder to do a side-by-side comparison for those workouts. Over the last year, I have logged a significant amount of time training for events. I’d like to think that my fitness has improved since I first started. I wouldn’t know for sure because I didn’t take a fitness test before I got on this journey. Based on my gut-feel, I don’t think I have made as much progress as I should have given how hard I have been training. The top 24 volunteers improved by as much as 40%. 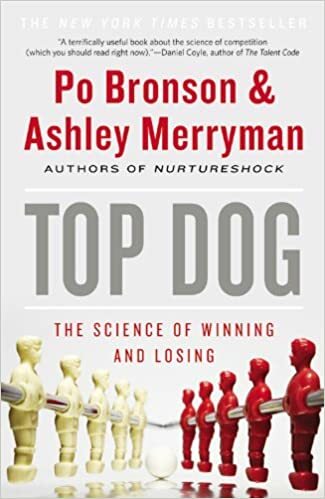 These were the individuals who had the potential to become elite athletes with the right training. The bottom 24 volunteers improved by only 4%. In other words, exercise did nothing for them. Their bodies just didn’t learn to adapt and it wasn’t because they were lazy or that they weren’t training hard. Bouchard, the lead researcher, found that these differences were due to 21 genes. The volunteers with 19 or more or these genes were high responders to exercise and they improved their aerobic capacity by an average of 26%. The volunteers with 9 or less of these genes were low responders. They only improved by an average of 9%. It would seem that not everybody gets more fit no matter how much exercise they are forced to do. Since I don’t have any means of knowing just how much I have improved, I can’t say for certain that I belong in the group for the high or low responders to exercise. All I can do is make a guess at it. Step Test: 90 beats per minute. Flexibility Test: Able to reach heels. Strength Test: 37 sit ups. Now that I have some baseline measurements, I can repeat the test in the next 6 months to a year to see if my fitness has increased or decreased. In the meantime, according to the chart for the 3 minute step test, my cardiovascular fitness falls under “good” for my age (assuming I did the test correctly). Certainly not “elite” category but it does suggest that I might have some of those exercise response genes. Maybe all this training hasn’t been in vain. What a relief to know. 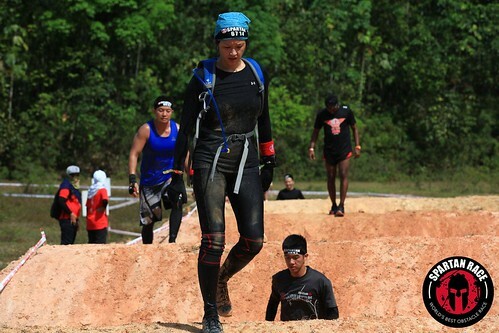 Fitness tests aside, I do feel stronger and fitter coming out of my Spartan Training. I can certainly do things I couldn’t before and running doesn’t totally destroy me the way it used it. Now that’s got to be something. Yep. 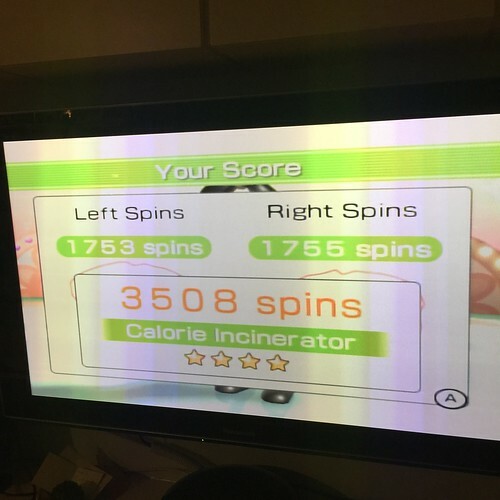 I dust off the old Wii Fit Board and do a Hula-Hoop/Rhythm Boxing/Step Combo and follow it up with some of the balance exercises that I find fun. 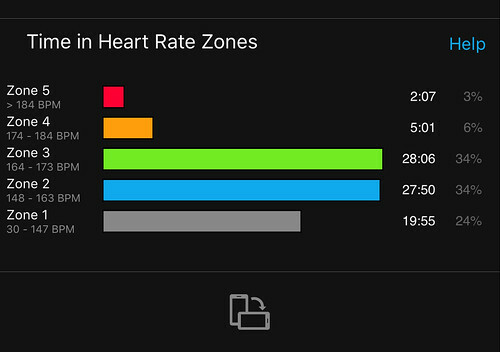 Unfortunately, there is no setting on the Garmin for recording a workout like that so I can’t tell you much about how hard I really work out. All I can say is that based on the overall daily statistics, it appears comparable to the days when I complete a regular workout. 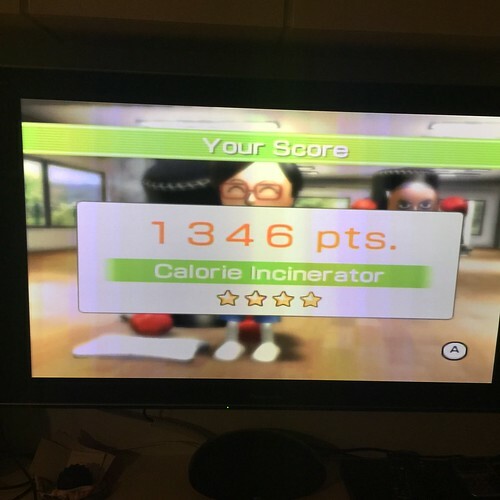 I can’t say that the Step Exercise does much for me, but the Rhythm Boxing and Hula-Hoop exercises had me aching in my arms and core the day after. Who would have thought that the Hula-Hoop would be such a good workout for your abs? And as far as cardiovascular training goes, I think the Hula-Hoop exercise gives you the best bang for your buck. And did I mention it’s fun? Well, okay, I probably wouldn’t want to do it every day, but it makes a nice change up from running on the treadmill and rowing.